Home / Uncategories / MAKING CAR JOURNEYS EASIER WITH PLAYFOAM® GO! Over the last few weeks we have been busy bees preparing for our family holiday to the countryside. Not only do we have to prepare our car, pack we also have to think how we are going to keep our little girl entertained for the five hour car journey. As with most car journeys being prepared is a must as you may never know what these little people can throw at you - an unscheduled nap, a meltdown because they've dropped their favourite toy, becoming hangry little people (we've all been there), explosives poops or even vomming everywhere. It's best to be prepared for EVERYTHING. Distractions are a must. 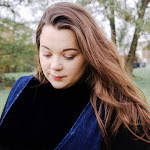 My daughter has pretty much taxed my kindle and we do have a portable DVD player and so before we set off we will make sure that they are both fully charged or have enough leads in case we need to recharge. My daughter has a fantastic app on my her kindle and this is perfect for car journeys. Obviously I don’t want my daughter to be plugged in to screens for too long. So we have been searching high and low for some great ways to try and keep her entertained and we were kindly offered this Playfoam® Go! for our journey. The Playfoam® Go! set is an ideal travel activity! The award winning Playfoam® is an easy to use, lightweight modelling foam that never dries out. 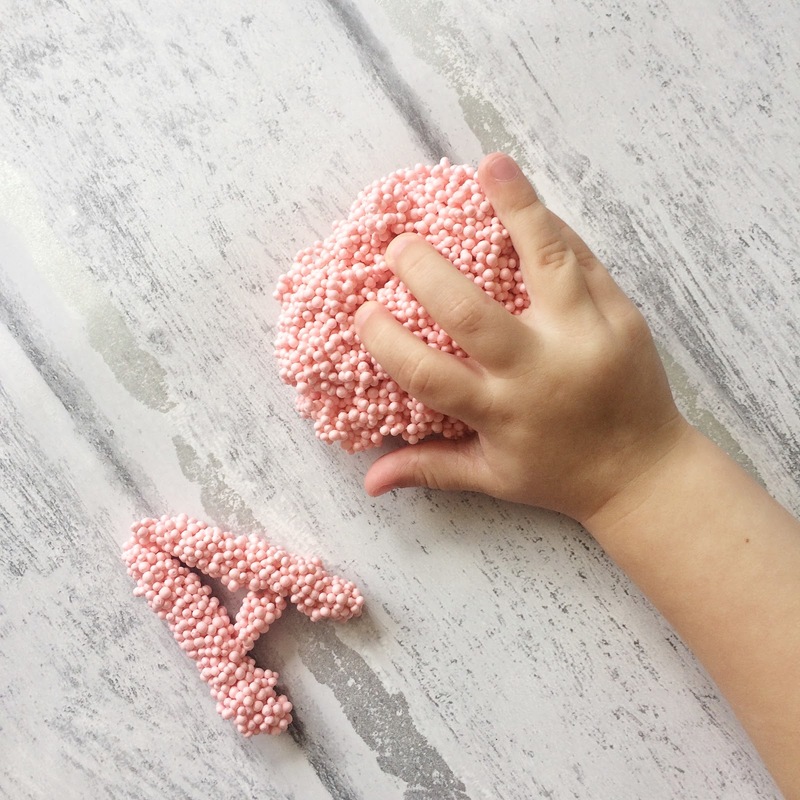 Develop fine motor skills by squeezing and folding the sculpting beads into anything you like, then squash it down and start again! 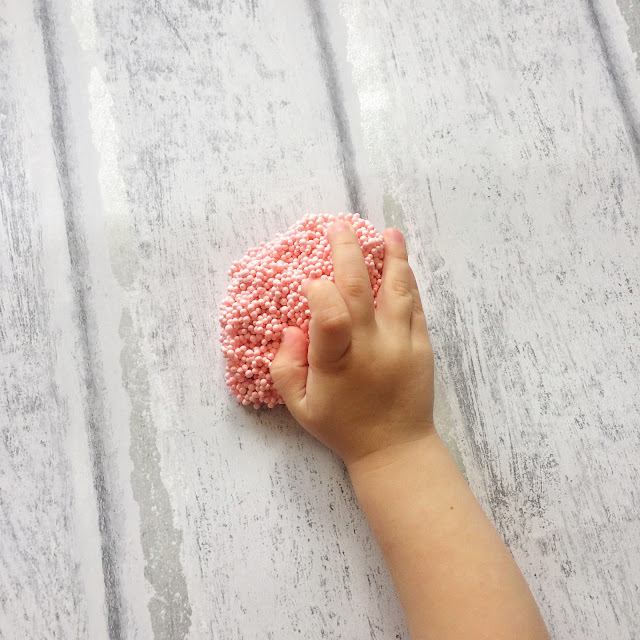 The non-toxic blocks won't dry, crumble, stick to skin or surfaces, keeping children engaged and mess-free. The sturdy plastic carrying case includes 8 colours of Playfoam®, each kept neat and tidy in its own unique compartment. We couldn't wait to get our hands on the Playfoam® Go! When the product arrived my daughter opened the box, she was very eager and certainly excited by the unwrapping of the Playfoam® Go! This was something that she has never come across before which I think made it far more appealing than some of her other toys. My daughter is very inquisitive, like most toddlers and couldn't wait to get creative with the Playfoam®. We also loved the idea than it came in a carry case, with several compartment with shapes on the lid, so she can mould into them. It is going to be the ultimate distraction when we set off for our five hour car journey. The first thing we noticed with The Playfoam® Go! was that the foam itself was very sticky, but it was interesting to see that it didn't leave any residue on our hands, which was surprising. Almost like marsh mellow. Honestly, we spend ages squashing, rolling, pulling and making crazy shapes. My daughter, like most toddlers love to mix colours with her play dough and this Playfoam® was no different. When we were in a creative mood we made circles, squares, hearts and even a diamond. It was a lot of fun, my daughter is beginning to write down letters and so we thought that moulding some shapes would be a great learning activity. 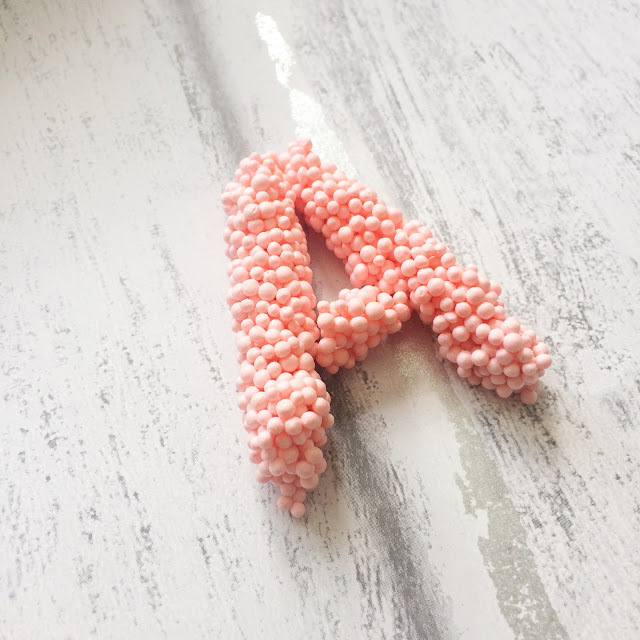 As my daughter moulded her Playfoam® into little sausages I would talk to her about each letter and even sounded them out. 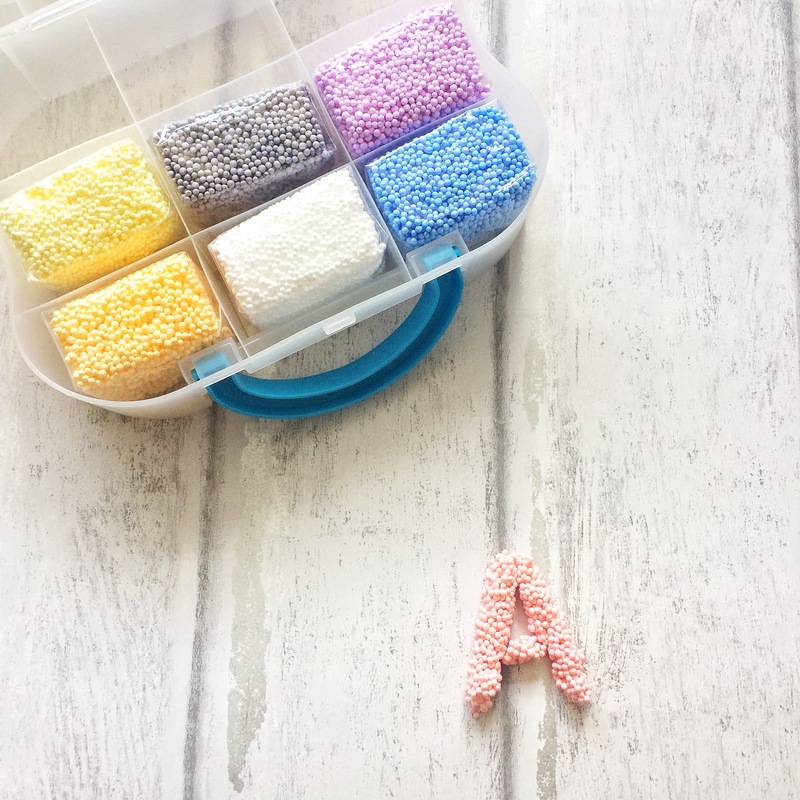 Not only is it great for letter recognition but excellent for practising their fine motor skills. This unique and creative Playfoam® is definitely something that will stand the test of time. This travel set is aimed at three to seven years old, but I think that it can surpass this age range. I am on the wrong side of my twenties and it kept me entertained for much longer that it should have. It's a great ways to help encourage recognition but excellent for practising their fine motor skills. On opening the Playfoam® Go! I was a little apprehensive letting my wilful toddler loose, straight away she mixed the colour but unlike her playdough it doesn't end up in a complete mess. 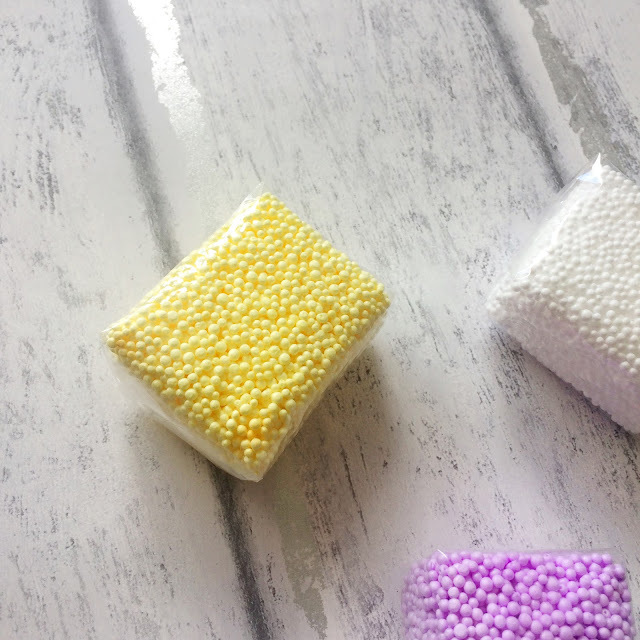 The foam has a bead structure and so they do mix together but you are able to see the colours still and if you have some time on your hand, you'll be able to separate them again. 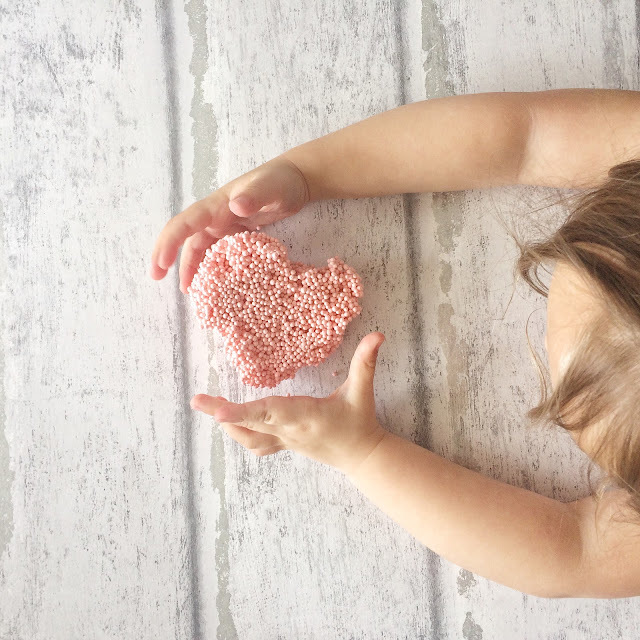 Another concern was knowing the fact that the Playfoam® is sticky, but surprisingly it didn't leave any form of residue on the hands, surfaces and more importantly my walls. We really like our Playfoam® Go! and it's something that we play with almost every day. 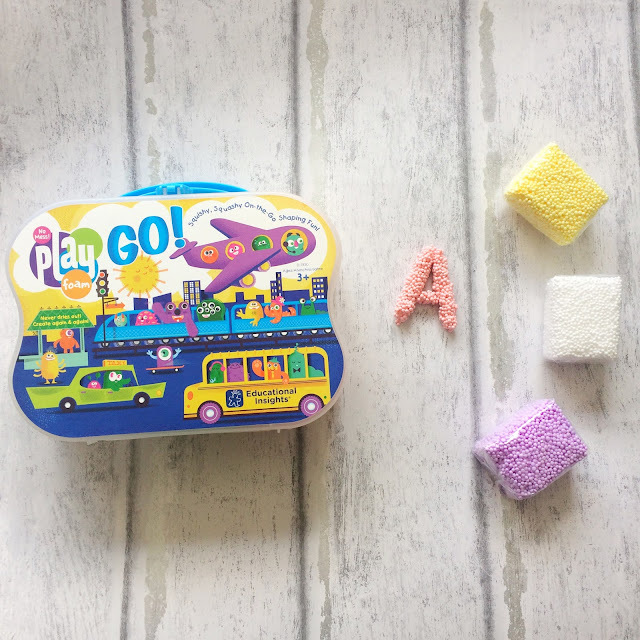 We can't wait to take this on our long car journey, it's so easy to carry too, complete with compartments for colour and a useful handle to make it easy to take along. A must have product for all children!